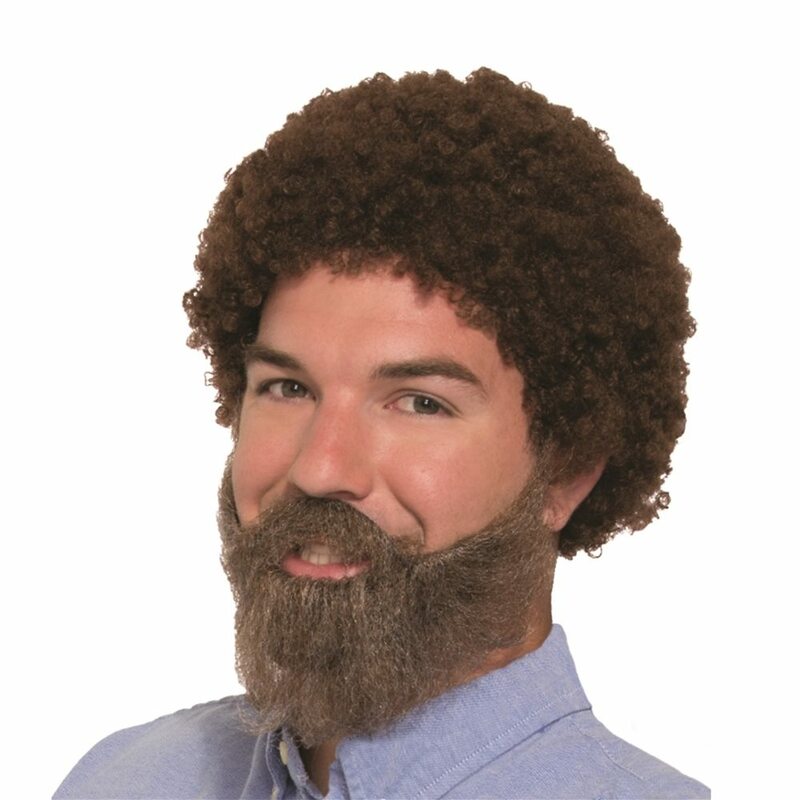 Now let's just paint some happy little trees as you teach others the mastery of art with the 80s Bob the Painter Wig, Beard and Moustache Set. This set comes with a small brown and curly afro styled wig and brown matching beard with attached mustache. The wig goes on like most wigs, utilizing an elastic mesh for a comfortable wear for most people, along with ease of putting it on and taking it off. The beard holds on to the face with self-adhesive tape. Combine with a brush and palette, and you'll be looking like a work of art yourself this Halloween.